Five by 35: Happy Thanksgiving! It's the long weekend and am neither running nor stuffing my face with bird. Some big sections for my thesis are due on Thursday, which I am well behind on, so I'm spending this beautiful holiday chained to my desk. C'est la vie. But I would like to spend a moment to give thanks, since this is what this weekend (in Canada) is about. Thanks to my husband, family and friends who have supported my crazy running habit since I really got into it four years ago, and to all of my readers! I'm also, of course, grateful for my health and for being able to run. That being said... it's flashback time! 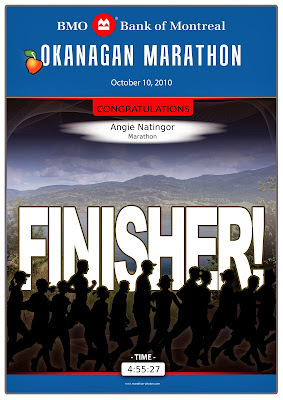 Three years ago during Thanksgiving weekend, I ran marathon #2: the BMO Okanagan Marathon. And this morning, runners in Kelowna are setting off on their own Okanagan journeys. 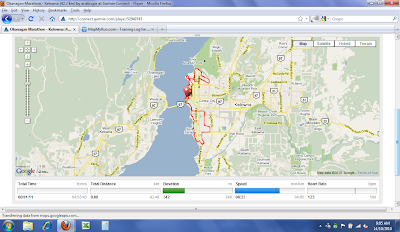 Here's my Facebook note entry and images from my second full marathon. Enjoy! Hello from Kelowna, and Happy Thanksgiving! The results are in, and it's official... I'm under five hours! I've always said I was a slow runner, but this is still a big accomplishment for me. After last year's marathon in Victoria (read: 5 hours 27 minutes 54 seconds), I never thought I'd break the five-hour mark. 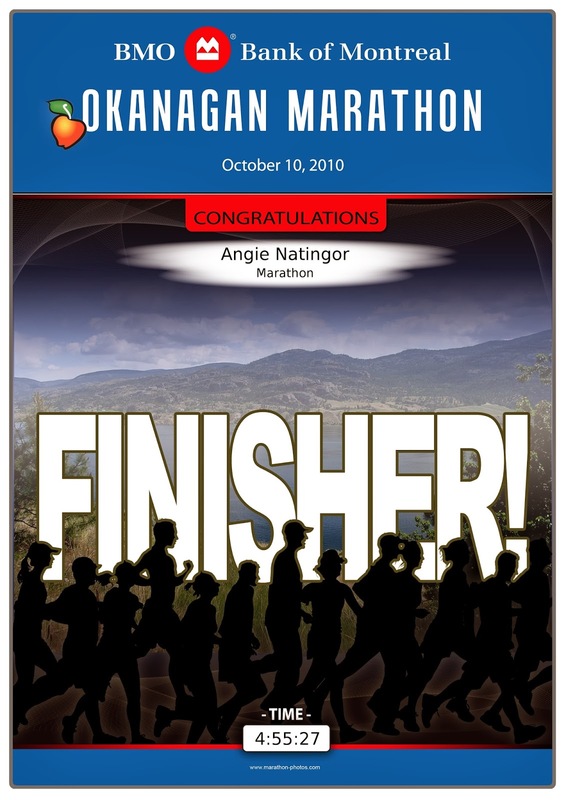 Take that, marathon! Overall, it was a nice race. The day started out a bit windy and soggy, but after about an hour in, the weather was perfect. There were sections in City Park that weren't blocked off so well, but the volunteers and traffic control on the course were great - and a deer even ran past at one point, less than 10 feet away, going in the opposite direction! 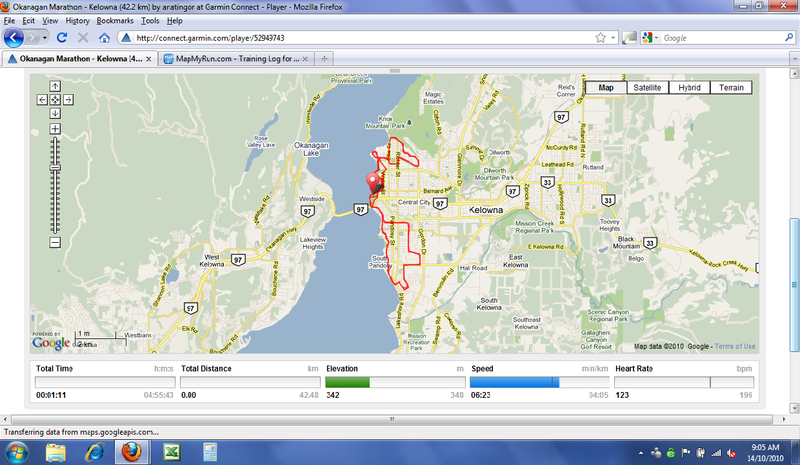 Screen shot of my Garmin data from the run on October 10, 2010.